The success of the EU’s circular economy plan depends on components like titanium dioxide, which improve resource efficiency for many products and services. With its circular economy action plan, the European Commission wants to lead the EU toward a much more sustainable future in which resources used for production are minimised, materials are maintained in the economy for as long as possible and the generation of waste is reduced. Effective: By using TiO2, high standards of brilliance, colour strength and opacity can be achieved with fewer resources. Without TiO2 in a paint formulation, for example, higher quantities of paint would be required to achieve the same level of coverage. Resistant and protective: Stability to heat, light and weathering helps prolong the life of our products. TiO2 reaches a high level of performance in these areas as it scatters visible and near infrared light and absorbs UV radiation resulting in crucial protective qualities. This makes products last longer, resulting in less waste over time. Non-toxic: Being non-toxic and non-reactive, products with TiO2 can be safely recovered at the end of their life to ensure that resources are used more than once. The use of TiO2 in everyday products enhances their durability, to the benefit of the environment and the economy. Many car manufacturers praise the protective qualities of TiO2, which combats paint degradation thanks to its UV-absorbing properties. This keeps our vehicles brighter for longer, meaning owners commit less time and resource to fixing their paint jobs. 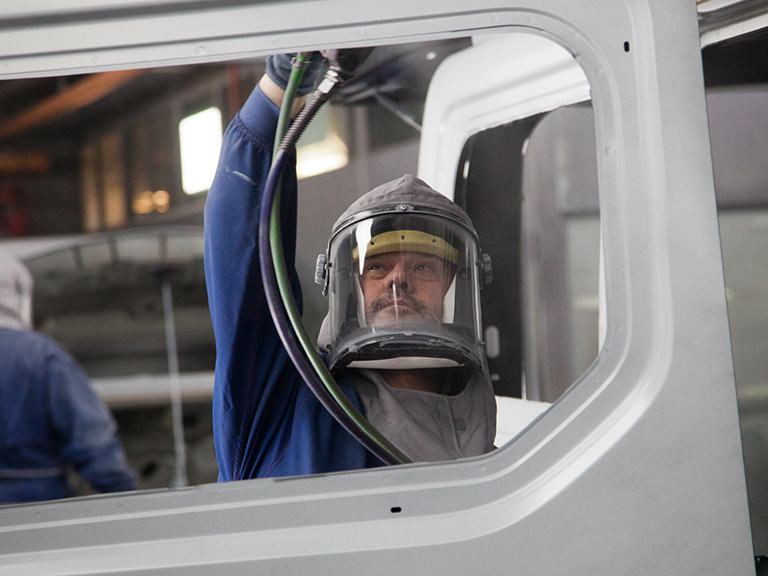 Paul Wickens, Paint Shop Unit Manager at Vauxhall’s Luton production plant in the UK, says: “We’re a global organisation and our vehicles have to be able to go anywhere in the world and retain their gloss levels for a certain duration of time. Titanium dioxide helps to reflect and dissipate UV rays to help protect the paint finish. TiO2 also plays an important role in making the plastic components of cars more durable and weather resistant, while boosting the colour, opacity and brightness. When added to outdoor plastics, TiO2’s protective qualities add enough hardiness to withstand weathering and light damage. TiO2 plays a key role in protecting plastic pipes, extending their life and ensuring drinking water passes through safely. Similarly, TiO2 is used to enhance plastic windows and doors so they need to be replaced less often, resulting in less plastic waste. Through its use in paints and coatings, TiO2 also enhances the life of other materials. That’s why specialist paint containing TiO2 was used to coat the Millau Viaduct in France. Given the incredible scale of the structure, smart and durable paint was essential to make this landmark stand for many generations. In addition to enhancing product longevity, the properties of TiO2 enables reuse and recycling of products at their end of life. For instance, one of the barriers to the recycling of wood is its uneven colouring and texture. Here, TiO2 coatings are used to blend and add smoothness, like in the recycling of furniture. TiO2 is also constantly used in new and innovative applications, some of which could contribute to the circular economy. TiO2 could, for example, play a vital role in developing the next generation of rechargeable batteries. 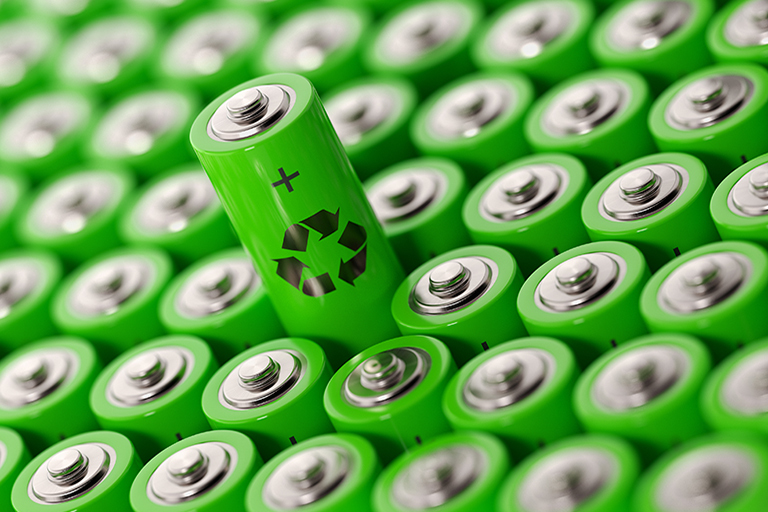 Better battery technology would further reduce waste not only from batteries but likely also electronics. TiO2 helps to reduce waste, thereby lowering demand for raw materials. What also makes TiO2 an obvious choice for most product manufacturers is that it is much more efficient than alternatives, meaning that less raw material is used to achieve the desired performance. In paint and plastics, which are the two largest applications, no other pigment comes close to the performance of TiO2. Estimates from the plastic sector find that the best alternative would require four or five times more material to achieve similar levels of opacity and would not approach the whiteness provided by TiO2. Around 95% of paints are manufactured using TiO2, and and none of the possible alternatives have the light-scattering nor hiding power of TiO2. This means that using alternatives requires many more layers of paint to provide complete coverage, driving up raw material demand as more resources are needed for the same effect and increasing waste generation. TiO2 is chosen as a raw material in many products precisely because of its circular properties, with consumers increasingly demanding long-lasting quality products. However, rushed EU regulation on TiO2 could soon hamper Europe’s circular economy objectives – read more here. As TiO2 is non-toxic, materials containing it can currently be recycled or reused at the end of their life, further underlining this unique substance’s sustainable properties. Could titanium dioxide be the solution to the battery problem?